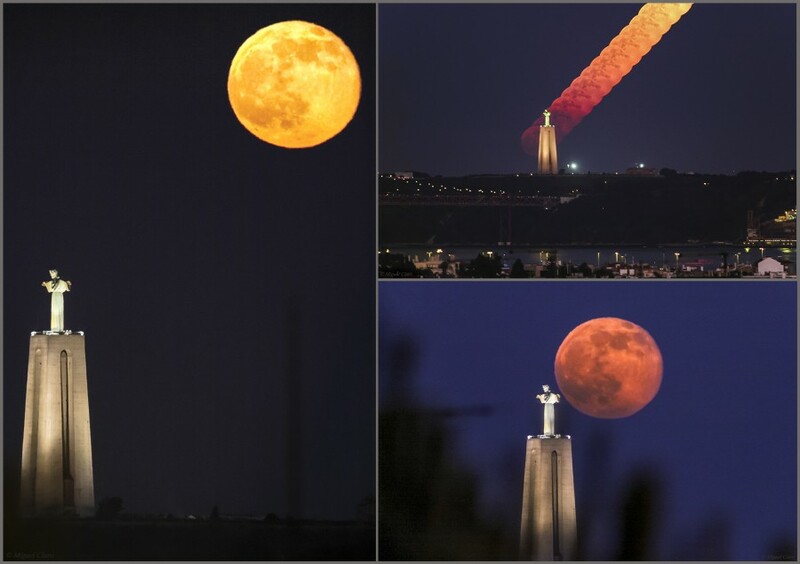 The Full Moon of June – Friday 13th – 2014, well know as “Honey Moon”, was captured in Lisbon, from Algés region. “With the sun’s path across the sky at its highest during this month of the summer solstice, the moon is at its lowest, which keeps the lunar orb close to the horizon and makes it appear more amber than other full moons this year.” (NG). 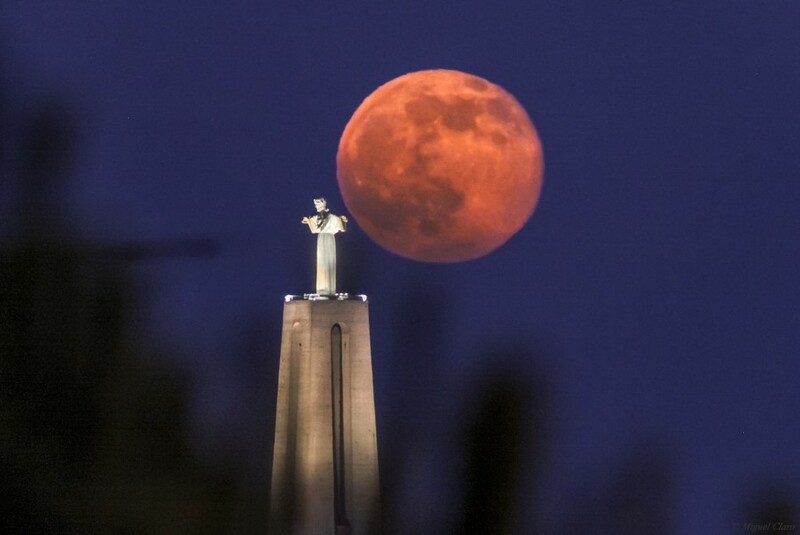 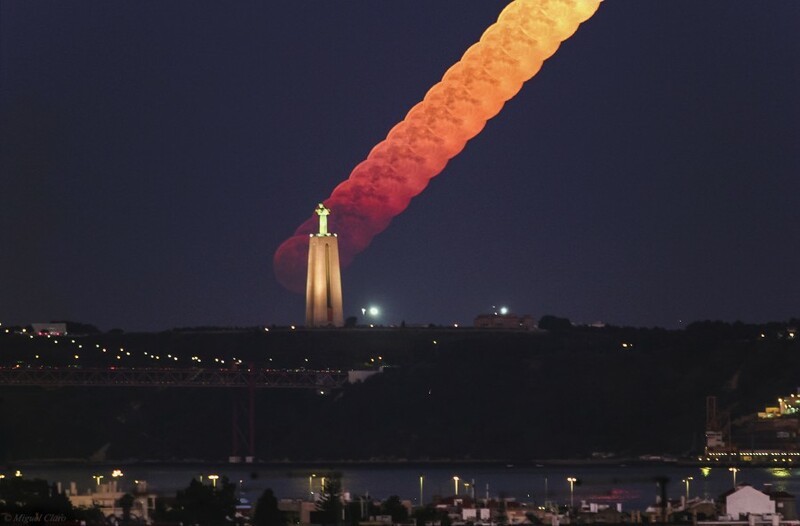 In the foreground we can see the Christ the King monument, in Lisbon, in a clifftop 133 metres above the sea, and behind it, the full moon rising in the east horizon.